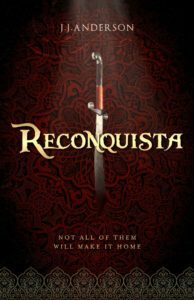 I am now deep into the writing of the sequel to ‘Reconquista‘, following the further adventures of the characters who featured in the first story and introducing some new ones. It is the first time I have written a sequel and, I confess, I am treating it very much as a continuation of the original. I am very aware that it is important that the new book stands on its own and it has to be as good, if not better, than the first. When I first conceived of the Al Andalus series, I imagined a series set in one place but at different times and with different characters, which, I hoped, would help avoid many of the problems of producing a sequel or sequels. So, the first book was set at the time of the Re-conquest, the second would be set during the Age of Discovery and so on. But, as I have written elsewhere ( see The Journey Continues…. ) I find myself writing a continuation of ‘Reconquista‘. Literary fiction has few sequels ( thought it does have series ). Sometimes characters from one novel are referenced in another, in Hardy’s Wessex, or Trollope’s Barsetshire and there are the famous examples of characters who are so popular that they feature in another work, like Falstaff or Mr Pickwick. 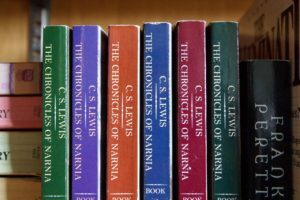 There are series, like Patrick O’Brien’s Aubrey/Maturin novels, the Narnia books or Galsworthy’s Forsythes, although it could be argued that these are really one major, compartmentalised masterwork. There is Updike’s Rabbit and Mantel’s Cromwell. Of bona fide sequels, those which sprang to mind most readily were children’s classics like ‘The Adventures of Huckleberry Finn‘ and ‘What Katy Did Next‘. not every one reading the second book will have read the first; I need to be able to place the new story into context without spending too much page time establishing what went on in the first book, who is who etc., but sufficient to capture new readers. I quite enjoyed reading the first of Alexander McCall Smith’s ‘No 1 Ladies Detective Agency‘ books, but found that the later books were far less satisfying, as he re-told the back story over and over. It’s important not to re-hash the first book. Years ago I read the Ellis Peter’s Brother Cadfael mysteries and it became obvious that she had two or three basic plots, variations upon which were presented in the later books and her character types appeared again and again. Sequels are often re-hashes of what worked the first time and it is important to avoid the law of diminishing returns. Realise that your imagination is not the only one at work – the readers of the first book may already have imagined what might happen to their favourite characters, so your version should be better. This is even more important in the age of ‘fan fiction’ and interaction between authors and fans, witness the ‘Shades of Grey‘ phenomenon. It is a useful spur to making the second book the best it can be, you don’t want to fall short of what readers have already imagined. I attended a very interesting discussion recently between crime writers at which the topic of sequels arose. 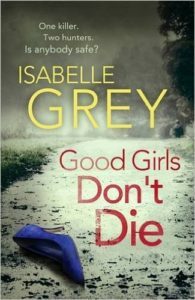 Two of the writers had ‘detectives’ who appeared in a series of novels, Isabelle Grey’s DI Grace Fisher is contemporary, with M.J.Carter’s Blake and Avery are nineteenth century, but both authors agreed that they had to find new and refreshing plot elements, as well as ways for their characters to develop in their new books. Isabelle Grey suggested focussing on different elements of policing, in one, police corruption, in another discrimination, as well as solving the crimes. 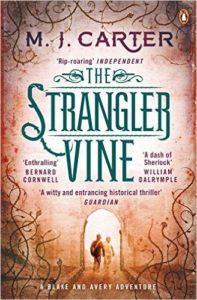 Miranda Carter altered her locations and context, her first adventure is set in the thugee India of the Raj, her second in a London energised and terrified by Chartism. Both acknowledged, however, that there is, especially in detective fiction, a necessary balance in which they also provide the familiar, the Sherlock Holmes stories being perhaps the best examples. 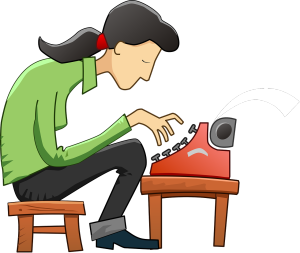 I’d like to explore further the practical requirements of writing a sequel, so you will see a series of posts from me over the coming weeks, dealing with elements like plot, character and the new. I hope you find them interesting.